"I considered him not only a great reporter, but a friend," the Maryland delegate said of a Capital Gazette reporter who was killed in last week's shooting in Annapolis. WASHINGTON — Maryland state Del. Geraldine Valentino-Smith worked hard to make sure her bill to get guns out of the hands of people deemed a threat to themselves or others would pass. It did, but it won’t take effect until Oct. 1. 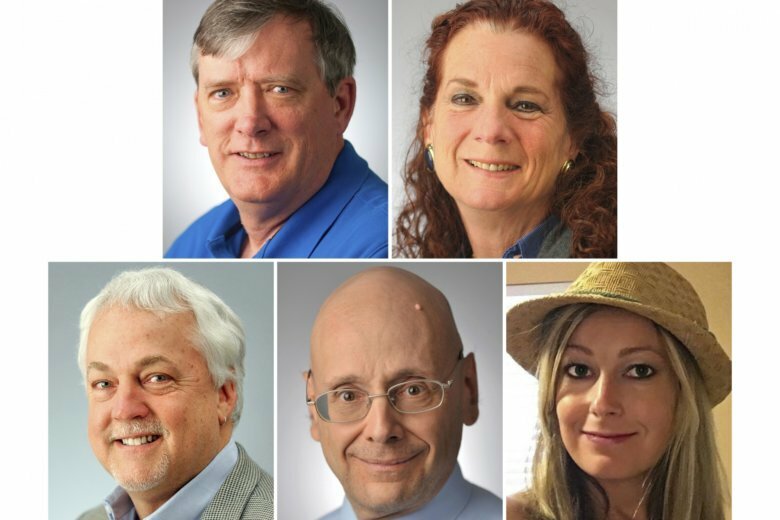 The reporter who covered her career and tracked the bill through Maryland’s General Assembly was John McNamara, one of the five Capital Gazette employees killed in Annapolis last week. “I considered him not only a great reporter, but a friend,” Valentino-Smith said of McNamara. He called her last week while working on a story about her primary contest. She’s in a too-close-to-call race in her district, and he wanted to talk to her about what it’s like to wait out that kind of career-defining moment. McNamara’s call came in to her at 1:20 p.m. last Thursday. A little more than an hour later, he was shot to death. She hasn’t been able to bring herself to delete the voicemail. “It’s a dear message. And I do believe that John died doing what he loved best — creating important and relevant news,” she said. McNamara died along with assistant editor and columnist Rob Hiaasen, community reporter and editor Wendi Winters, editorial page editor Gerald Fischman, and sales assistant Rebecca Smith. Jarrod W. Ramos, 38, of Laurel, Maryland, has been charged in their killings. Police said Ramos harbored a yearslong grudge against the paper for coverage of a harassment case and sent three threatening letters before he burst into the Capital Gazette’s newsroom to carry out the killings. Valentino-Smith said she crafted HB 1302, the so-called “red flag” bill to prevent the kind of mass shooting that took McNamara’s life. Under the bill, a judge could take firearms from a person deemed to be a threat to themselves or others. “A family member, a health care provider or a roommate can personally petition,” she said. But Valentino-Smith said the bill isn’t limited to those petitioners. If other people have evidence that someone poses a danger, “they can go to law enforcement and law enforcement can petition” the court, she said. She wants the public to understand how the bill works. “The more education we do, the better chance we have of making sure that it’s not just a law that sits on the books,” she said.